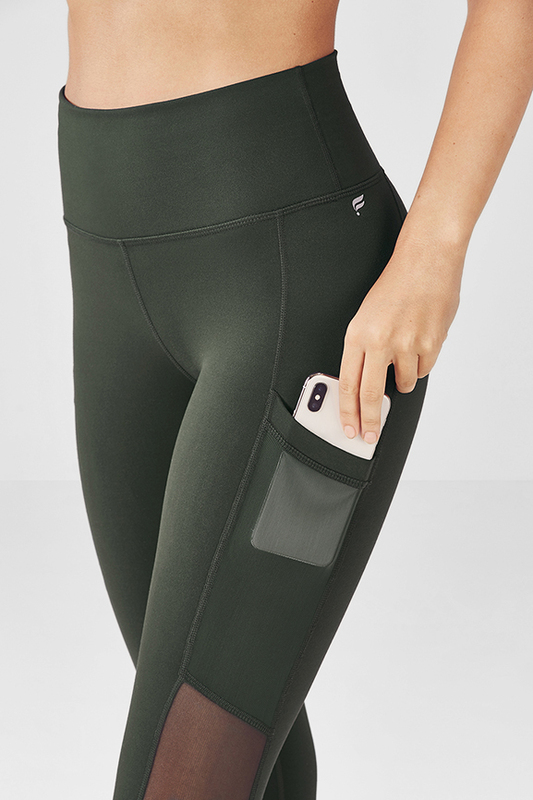 98% of members who purchased the Mila Pocket Capri recommend it. Love the mesh sides to make these stand out. The color is really cool - grayish bluish greenish, but still dark and flattering for a girl like me to swears by black! You'll never go wrong with high waisted power hold. I promise! Super cute and comfortable! The compression isn't suffocating, and I love the pockets! I'm 5'1" and 120 lbs. I purchased the medium. I'll be honest that I was skeptical at first. They fit a bit snug. BUT after getting them and moving around in them, they were amazing. As a mommy of three, they held in my tummy beautifully while still offering maximum flexibility. And the side pocket is amazing! Pros: pockets!!! Also very soft and do not fall down. Cons: a full size too small so you have to order up a size or else you will be able to see your underwear and also they apparently don't stock very many because they're all sold out constantly. So that's annoying. Absolutely love these. They fit great and hold in my mom tummy! I love these! They are so comfortable and the pockets are great! Love these leggings! You can never go wrong with leggings that have pockets.